Mens and Womens lacrosse at any level need proper equipment to protect your lacrosse player. Our staff of Lacrosse Unlimited buyers continuosly evaluates and test new products to select the very best assortment of lacrosse equipment for you at all levels. For a full list of all required lacrosse equipment, and size charts check out the information below. 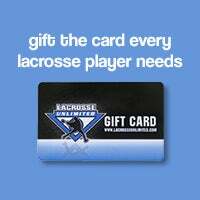 You can buy all the required lacrosse equipment from our website by visting Men's & Boy's Lacrosse Equipment or Women's & Girl's Lacrosse Equipment You can also visit one of our local Lacrosse Unlimited Stores for suggestions, sizing, and the latest equipment to hit the market. Below is a list of recommended equipment needs for lacrosse players participating in youth, high school, or NCAA level play. Your coach or directors are always a great starting point to determine specific equipment needs as well as league/team color requirements. Every lacrosse player needs the right set of equipment to build confidence on and off the field. 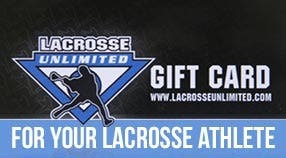 Every day, LacrosseUnlimited.com and Lacrosse Unlimited retail locations offer all levels of lacrosse players a wide selection of equipment and apparel to match with your level of play. 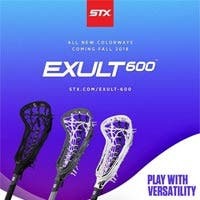 Our knowledgeable game-experience lacrosse player staff will take the time to explain, size and demonstrate all equipment options and sizing. 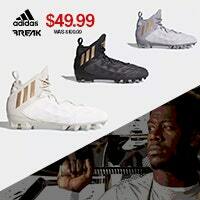 All online orders have a flexible return/exchange policy for sizing corrections. 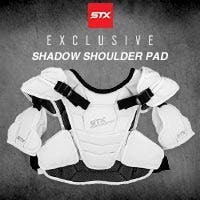 Below is a basic guide to shopping on LacrosseUnlimited.com for your lacrosse player based on age and size. Please make sure to test equipment in your home for fit and comfort before using outside. The lacrosse helmet is the most important piece of equipment in the game. Sizing is most important for the safety and confidence of each player on the field. The above helmet sizing chart is by helmet type, player level and head circumference in inches. Measurement is measured by using a soft string around the players head across the brow above your eyes. Cut the string to snug fit around head, then remove string and measure with a tape measure in inches. All sizing below is approximate and your helmet will need to be adjusted before wearing. Please make sure to test equipment in your home for fit and comfort before using outside. All complete sticks (head with handle attached) are measured from furthest tip to furthest tip of stick from head scoop to end of rubber end. Most players cut the complete stick to minimum length to help protect stick during play. All Lacrosse Unlimited retail locations offer FREE measuring and handle/shaft cutting and can answer any of your handle questions or concerns. Make sure handle is completely and securely attached to your head with a screw before cutting any handle. All handle materials can be cut by an adult with a standard metal hack saw blade and a measuring tape. Alll measurements below are according to USLacrosse website and consult your coach/director for league recommendations. *Youth ages 4 to 7 years old often determine length by individual height and you should contact clinic or team before cutting to lengh. Youth girls use players arm length to measure by placing pointer finger at edge of head neck and cutting handle where the end of stick reaching back of players shoulder. All lacrosse sticks require pocket maintenance to help you play at your highest level. The most popular men's pocket is custom strung dura mesh and hockey laces shooting strings. 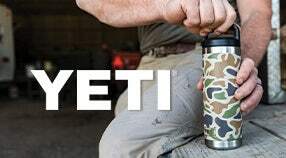 Dura mesh is a blend of soft mesh and hard mesh to create a manageable mesh pocket with consistent ball hold and release. 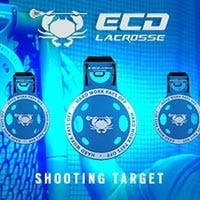 All Lacrosse retail locations offer FREE pocket evaluations and pocket adjustments usually while you wait. Most pocket adjustments are needed due to too deep or too shallow pocket producing inconsistent performance. We always suggest getting help from a player with some stringing experience or knowledge. If no team mate or coach can not assist you, start by loosing the bottom string at the end of the mesh behind the head neck. Untie the knot and pull the mesh slightly away from the head and re-tie. This will allow for the mesh to have some "give" with catching and throwing and allow for the pocket to naturally break-in with play. 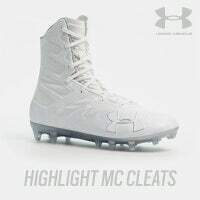 Every lacrosse player needs the right apparel and equipment to live the lacrosse life. All Lacrosse Unlimited clothing is custom designed and constructed by LU with the best materials made to LAST. 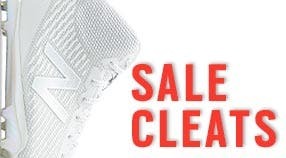 Clothing size charts are approximate and it's always best to visit your nearest Lacrosse Unlimited retail location for fit and monthly new arrivals.